The Constitution Club of India is a collective of Indian Parliamentarians, who have united together to serve the purpose of supporting one another. The Club, acts as a platform for Members of Parliament to engage with each other on issues of policy making and governance and is committed to provide assistance to them. Given that Constituency level development is a critical role of a Member of Parliament as an elected representative and no such human resources are available to them for this purpose, the Club in partnership with Tata Trusts and Swaniti Initiative formulated the SPARC Program. With a wide network among Parliamentarians and policy makers, the Club will act as a technical support partner for the program. Tata Trusts is amongst India’s oldest, non-sectarian philanthropic organizations that work in several areas of community development viz. education; healthcare and nutrition; rural livelihoods; natural resource management; data-driven governance; enhancing civil society and governance and media, arts, crafts, and culture. Policy makers and administrators today have an opportunity to make use of the big data revolution for better delivery of services. Realising the value of ‘technology’ and ‘data’ and how it can potentially revolutionise decision making, Tata Trusts have actively taken up the agenda of striving towards ‘data-driven governance’, to inform, impact and improve policy making, with a view to facilitate holistic development of the nation including infrastructure and human development. 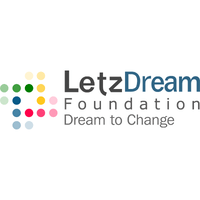 LetzDream Foundation strives to build a synergistic alliance between non-profit organizations, Government Departments, private sector and rural communities. The Foundation aims to facilitate the social development process by driving resources through non-profits and by strengthening their capacities to help them adapt more efficient and impact-driven models of development. LDF provides its partner NGOs with technical support, which enables organizations to harness their unique strengths and develop innovative programs to bring about sustainable positive change. Vikram Lal, former Chairman of the Eicher Group, is involved in a number of voluntary organizations. He is the president of Common Cause, a public interest NGO pursuing major issues relating to reform, governance and the enforcement of the law, since December 2004. Mr. Lal’s interest in education has had two distinct outcomes. The first is the setting up of quality English medium schools in Alwar, Parwanoo, and Faridabad where the company had plants. The 3 schools together have around 4000 students. 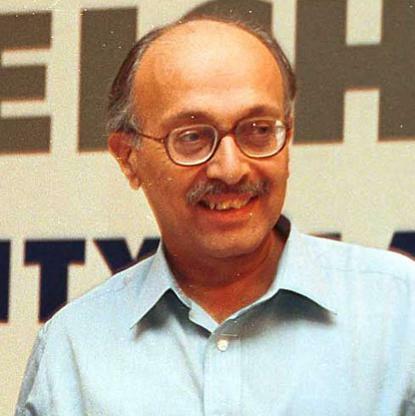 He was Vice President of the World Wide Fund for Nature – India for 7 years and a member of the Board of Governors of the Doon School for 6 years. Currently, he is on the boards of Pratham Delhi Education Initiative and Resource Alliance India. Mr. Lal is an internationally licensed and enthusiastic paragliding pilot.